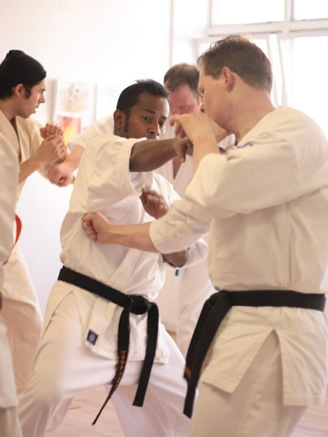 On the afternoon of Saturday 27th April 2013 students from 5 different dojos across the country travelled to Glasgow city centre train together in Sensei Prasanna Fernando’s SOKYOKUSHIN-Fernando Dojo. 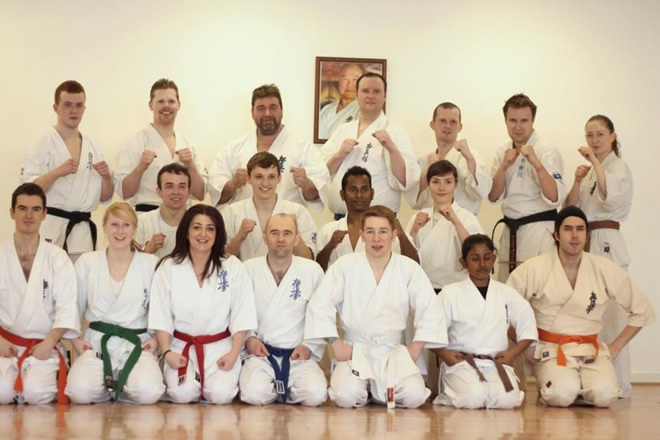 This was the inaugural event of a planned series of OPEN KUMITE WORKSHOPS aimed at developing good relationships between the various full-contact Karate dojos in Scotland. 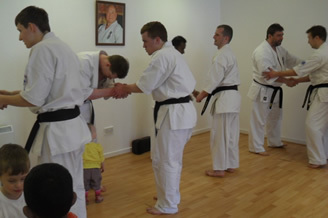 Eighteen students including 9 black belts introduced themselves to one-another as they warmed-up in the dojo before the class started. 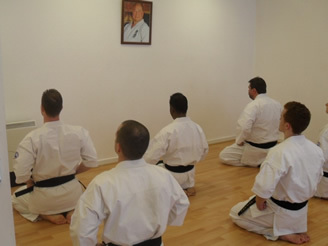 Formal training began with 2-minute silence in recognition that previous day marked the 19th anniversary of Sosai Oyama’s death. 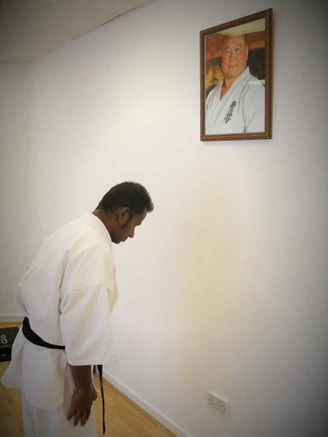 Sensei Prasanna then led the warm-up and kihon consisting of a 100 Tsuki and Mawashigeri. 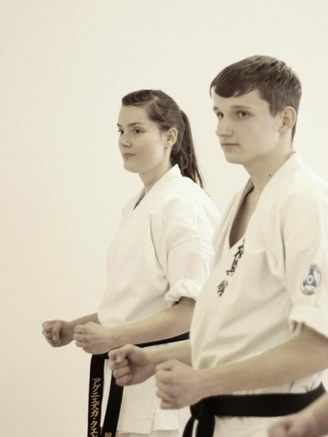 After the warm-up students worked in pairs to practice fighting combinations instructed by Shihan Ian Rodger, 5th Dan (from Oban & Lochgilphead dojos). 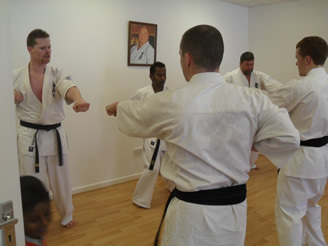 Shihan encouraged students to compare different types of the inside low kick and to pay attention to hitting the exact same spot with consecutive strikes. 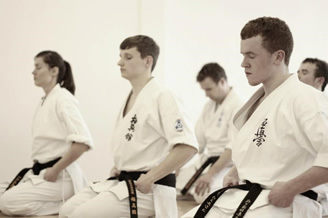 The next part of the class was instructed by Sensei Stephen McCann (from the Lyceum dojo, Edinburgh). Under his instruction students worked a single 4-technique combination, breaking-it-down and building-it-up until it became fluid and effective. Sensei Stephen then emphasized the effeteness of “working a pause” before adding a 5th technique to the combination. 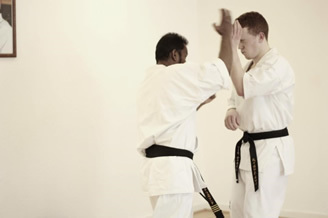 For the last period of tuition Sensei Prasanna encouraged students to practice open-hand techniques that would useful in both tournament fighting and self-defense situations. The final part of this knockdown workshop was of course dedicated to sparring. This was an opportunity to test the effectiveness of some of the techniques and combinations that had been practiced earlier. 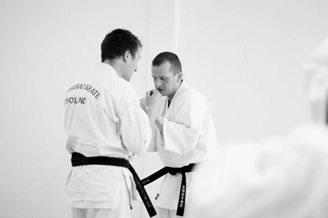 It was also a fantastic opportunity to practice fighting exponents of other styles outside of the tournament setting. 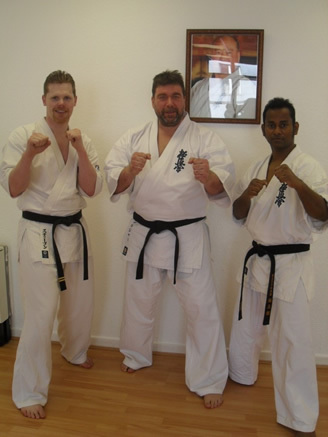 The members of the SOKYOKUSHIN-Fernando Dojo United Kingdom would again like to thank all those who travelled to join us for a great training session.